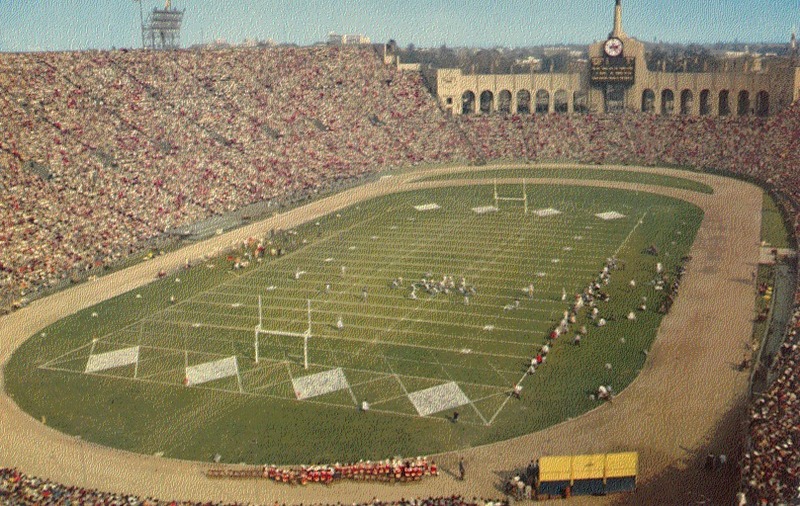 The Los Angeles Coliseum, host of two Olympic Games, two Super Bowls and the USC Trojans football team since 1923 was the home of the Los Angeles Dodgers for four seasons. 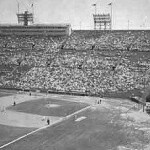 In the mid 1950s owner of the Brooklyn Dodgers, Walter O’Malley, sought a new ballpark to replace the aging Ebbets Field. 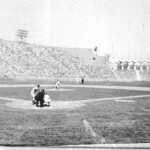 When O’Malley was unable to acquire land in Brooklyn to construct a new ballpark he moved the team to Los Angeles after the 1957 season. 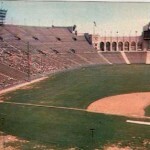 A new stadium had yet to be built in the city forcing to choose from the faculties to play at: LA Wrigley Field, the Rose Bowl or the Los Angeles Coliseum. 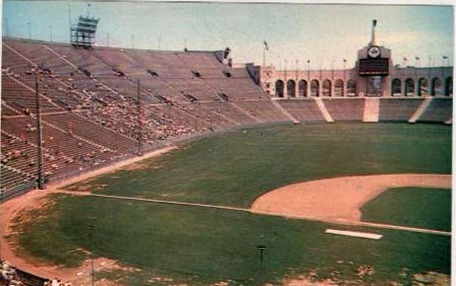 The Dodgers chose the Los Angeles Coliseum, a stadium originally built for the 1932 Olympics and primarily a football stadium, until a new stadium could be built. 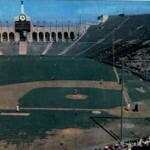 The coliseum was vastly inadequate for baseball. 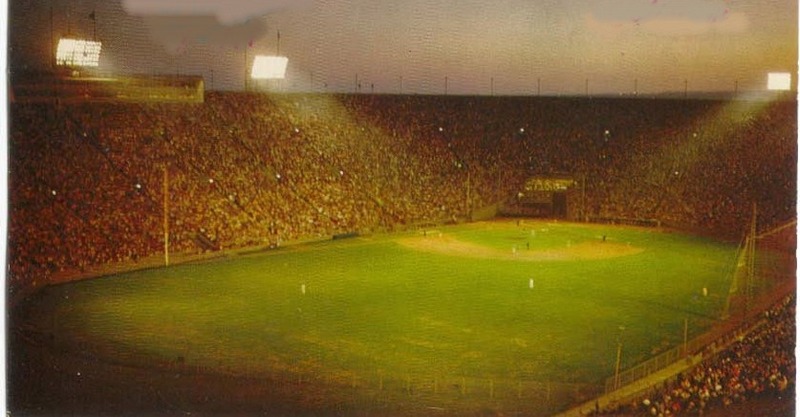 In order for the stadium to be suitable for baseball three banks of lights were added, dugouts were built, a press box was constructed and two screens were put into place. One screen was placed behind home plate and the other was located from the left field foul pole to centerfield because it was only 251 feet from the foul pole to home plate. 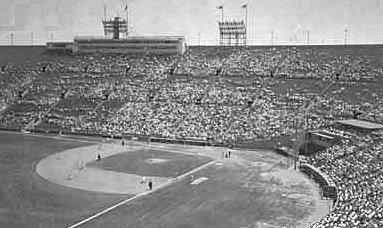 On April 18, 1958 the Dodgers made their debut in Los Angeles at the Coliseum defeating the San Francisco Giants who had also moved to California. 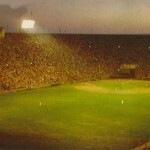 A massive one tier grandstand circled the entire playing field. The main entrance was at the opposite end of home plate. 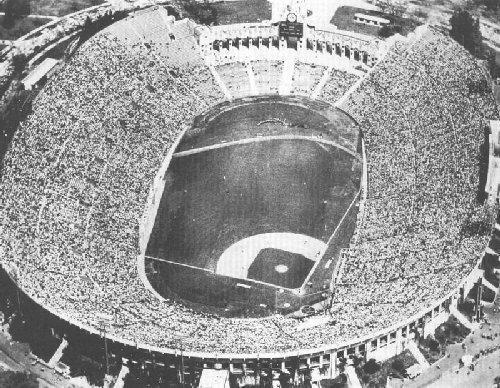 With a capacity over 90,000, the coliseum became the largest stadium ever to host baseball, allowing the Dodgers to attract more than 1.8 million fans in 1958. 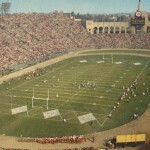 In 1959, a football game between USC and Ohio State was played at the coliseum. 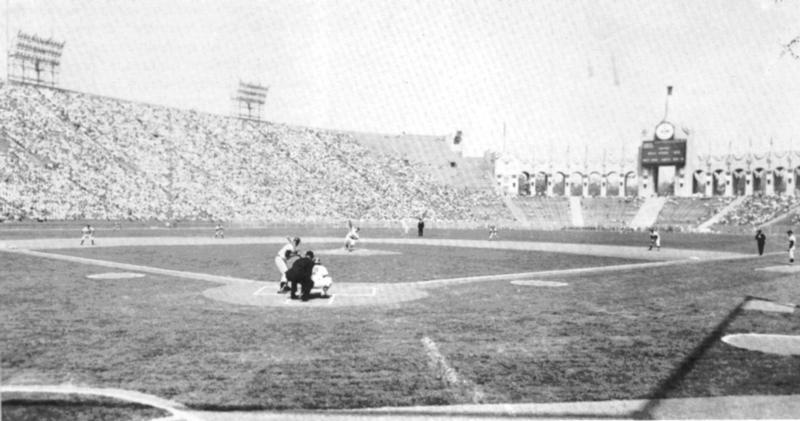 A hour after its completion, the first World Series game in California was played. 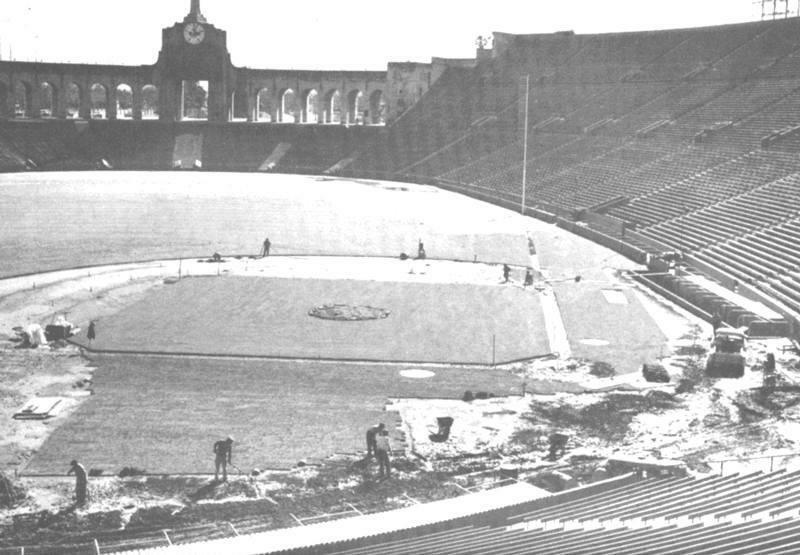 While the Dodgers played at the coliseum, a new ballpark was being built at Chavez Ravine. 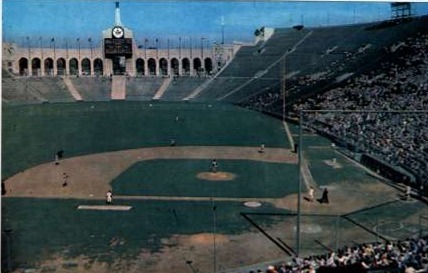 The last Dodgers game at the coliseum was on September 20, 1961, a victory over the Cubs. 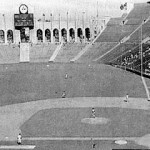 The following season they moved into their new stadium, Dodger Stadium. 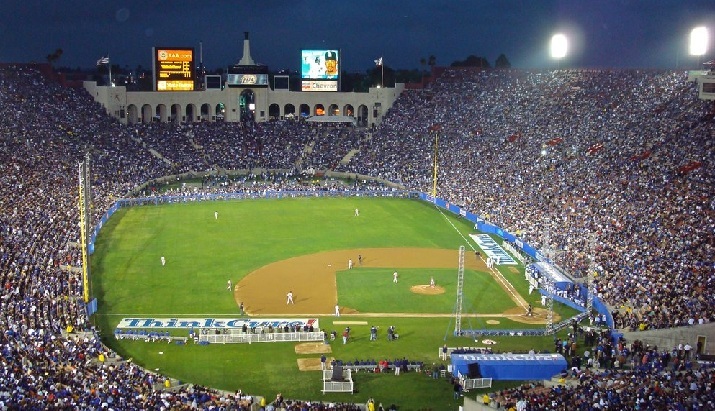 In honor of their 50th season in Los Angeles, the Dodgers played an exhibition at the Los Angeles Coliseum on March 29, 2008 against the Boston Red Sox. The Dodgers spent $250,000 to build temporary dugouts, construct a baseball diamond and fences in left field. 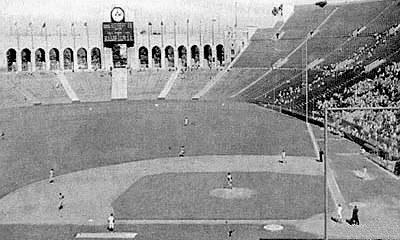 Therefore, for the Dodgers exhibition game, the left field fence was 201 feet from homeplate with a 60 foot fence. 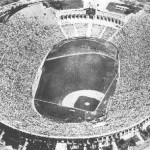 A new baseball attendance record was set as over 115,000 fans attended the game. 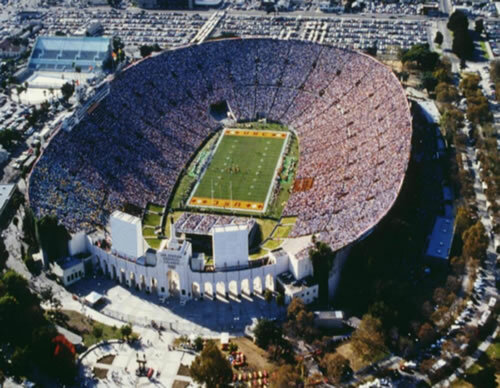 Today, the Los Angeles Coliseum remains the home of the USC Trojans football team as the coliseum adjoins the USC campus. 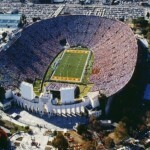 It is also the home of the Los Angeles Rams (NFL) as they moved to the city from St. Louis following the 2015 season. 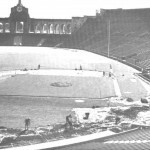 Throughout its history the stadium has been the home of the UCLA Bruins (NCAA), the NFL Pro Bowl, Super Bowls I and VII and hosted the 1932 and 1984 Summer Olympics.